As the oldest of three kids, Baily Deeter was often the last to be picked up from school by his mother. 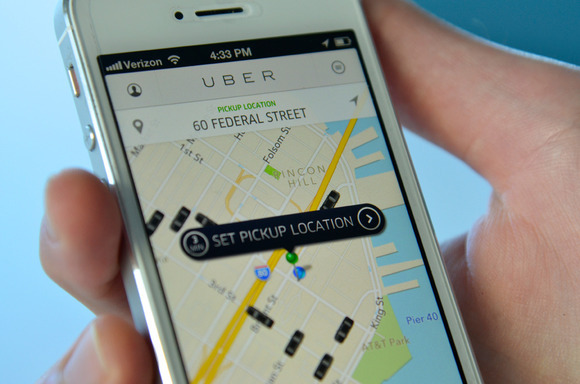 Then Uber Technologies Inc. came along. When Baily started ninth grade in August, his parents gave him an account for the mobile car-booking application, under his dad’s name and credit card. Now rather than wait for his mom, the 14-year-old taps on his iPhone to order an Uber car for the seven-mile ride home from school in Atherton, California. “I’m very happy to have an Uber account,” said the teen. “It shows the trust that my parents have placed in me and it allows me to get from place to place in a flash.” His father, Byron Deeter, is a venture capitalist at Bessemer Venture Partners, who said he regrets not having invested in Uber. Like the Deeters, parents in cities from Los Angeles to New York who can’t make the drive themselves are also starting to use car-booking and ride-sharing apps to ferry their kids around. Parents are particularly turning to the apps for teenagers’ transportation needs to sports events and parties, said Brian Solis, an analyst at Altimeter Group, a San Mateo, California-based firm that researches the impact of new technologies. The apps let parents monitor where their children are during rides, something taxis and other modes of transport still don’t offer. “Having an Uber account is a growing trend, especially among high schoolers, reflective of the trust-based sharing economy,” said Solis, who also pays for an Uber account for his 17-year-old son. The use of Uber and other transportation apps by families also has implications for how young people choose to drive later. Already fewer youth are driving, with the percentage of U.S. high school seniors between 17 and 18 years old who have a drivers license declining to 73 percent in 2010 from 85 percent in 1996, according to data cited by a study from consumer group U.S. Pirg. Susan Shaheen, co-director of the Transportation Sustainability Research Center at the University of California at Berkeley, said young people are owning cars at a lesser rate than before, partly because of vehicles’ lack of affordability and the rise of ride-sharing apps. Millennials “prefer to stay connected and regard driving as a distraction,” she added.